If there is one thing i take great pleasure in, it is attending shows. I am a huge fan of music. Whether they are taking place in giant amphitheaters, little concert halls, in the great outdoors or in the form of a festival, i love them all. I get inspired by the well-dressed crowd, i am euphoric just thinking about dancing to live tunes, i go completely mad over the vibe and the energy generated by everyone gathered for the sole purpose of seeing an artist they admire... but above all i love that i always feel like i am somehow living a part of history. 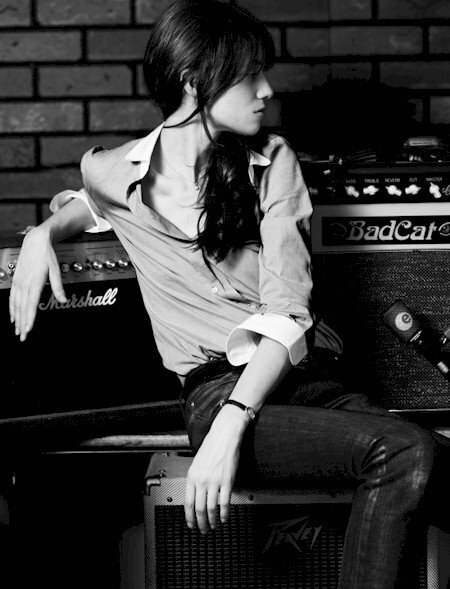 I just got tickets to go see Charlotte Gainsbourg's show later this april and besides the fact that i actually really enjoy her music, she is such an icon. I mean, her mother is Jane and her father is Serge. It hardly gets more epic than that. Oh, and she's married to Yvan Attal, one of my favorite french actors. And what would be a concert without great company? I'll be attending with my bff, so basically it's a guaranteed great night. To prep me up, i'd like to share some of my favorite shots of this wonderful muse. soooo much fun!!! And such a classic show-- you're right! Birkin + gainsbourg= inherently amazing! where is she playing? In Montreal? oh, you're so lucky, she's amazing! Yay! That's so exciting! Hope you have a great time. These photos of her are amazing! oh, her + beck, i love their new song!